Treadwell Park on the Upper East Side looks like any other sports bar. On game days, it can get packed with young business-casual types gathering to cheer at oversize screens, play foosball, and eat burgers and fries at communal wooden tables. Downstairs, however, is a hidden lair for less rowdy types: a tasting room, dedicated to the best beer in the world. A former storage space, it can accommodate only about 10 people. This detail, however, didn’t stop the Samuel Smith Brewery, a prestigious beer-making family in England, from choosing the cellar to host one of the first-ever tastings in the United States of its oatmeal stout. “It might be the most utilized space in the city,” said Sean Ellwanger, the New York City sales manager for Merchant du Vin, a beer importer. Ms. Becerra filled the Cellar with artifacts from breweries around the world. There is an old clock from a Trappist brewery in Belgium and a panel etched with the Reinheitsgebot, the German beer purity law of 1516. Mugs and glasses from traditional English pubs are on display. From small-batch whiskey distillers in Brooklyn to indie breweries in Queens and bartenders becoming their own brands and getting book deals, New York is full of ambitious people who are constantly innovating the city’s drinking culture. What’s different these days is that many of them are women. 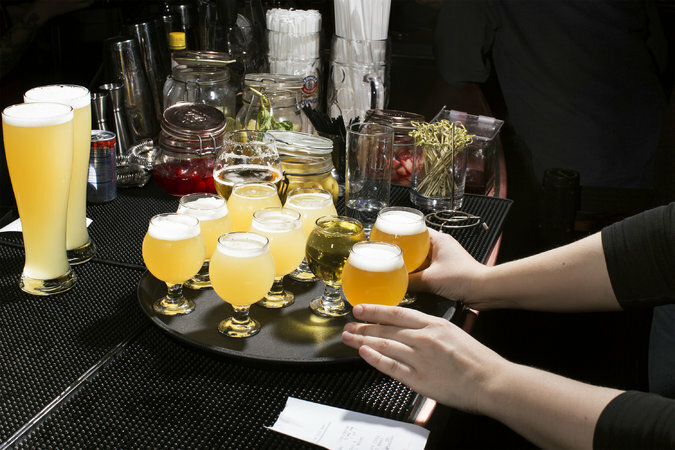 “Without a doubt, there has been tremendous growth of women leaders in New York City’s spirits scene since I first started in the industry more than six years ago,” said Kelley McDonough, the director of public relations for the Distilled Spirits Council. “Some studies have shown that women have a better sense of smell and taste, which might give them somewhat of an upper hand,” she said. Last year, Kristin Tice Studeman, a writer and wine fan who contributes to publications like Vogue, W magazine and The New York Times, started noticing that rosé wasn’t getting the same respect as other wines. So Ms. Tice Studeman started the Rosé Project, an event series that included panel discussions and dinners that paired interesting rosé wines from Oregon to the Loire Valley with a three-course dinner. Well-regarded chefs including Melia Marden of the Smile and Dan Kluger of Loring Place created the menus. At most events, there were also rosé bars stocked with other varieties or special rosé cocktails. Ms. Tice Studeman, who held her events at venues like the Surf Lodge in Montauk and the Polo Bar in Manhattan, said that she was astounded at the response. The stylist June Ambrose came to one, Marissa A. Ross, a comedy writer and Bon Appétit’s wine critic, to another. 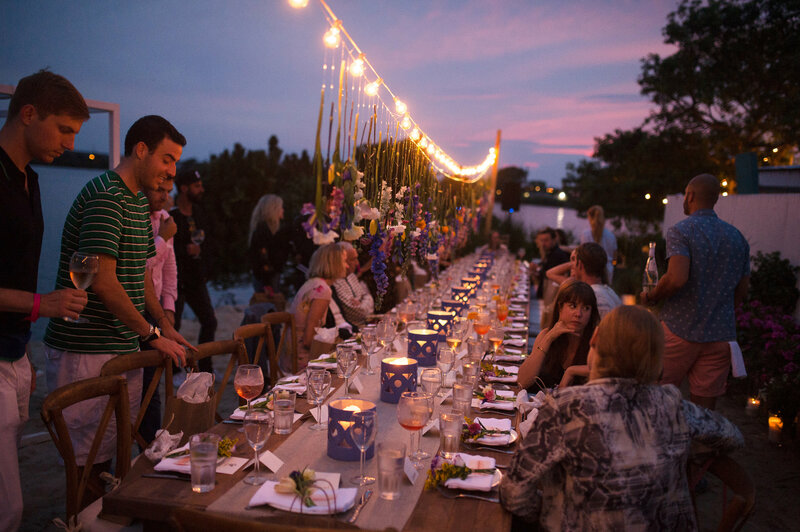 “My fear was that people didn’t want to sit down on the beach during a beautiful summer day talking about wine,” she said of one of her events in Montauk. “At Surf Lodge we had random guys and girls appear and then stay for an hour after to ask about wine.” She plans to continue the series this year. Other women, meanwhile, are indeed representing major liquor brands, even traditionally male-oriented spirits like whiskey. 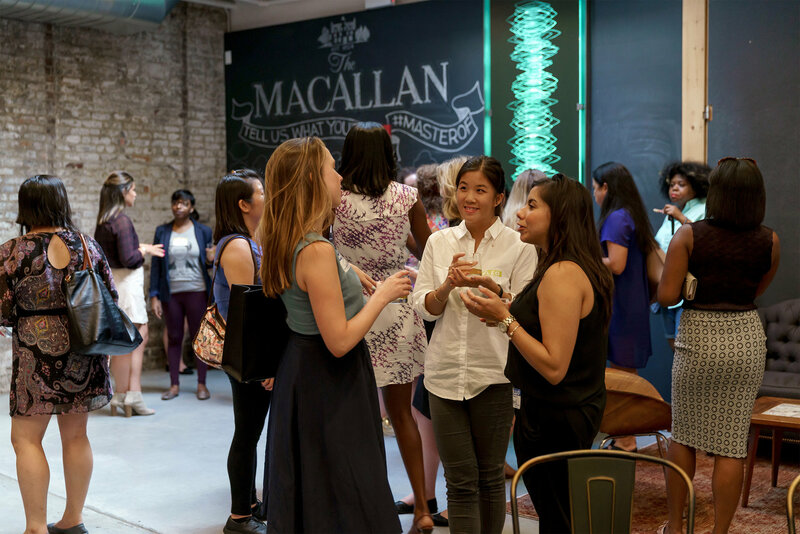 In 2017, Ms. Leotta helped Macallan, along with the female networking group HER, organize an event with 25 women in the West Village. Scotch whisky was served with each dinner course while Raquel Raies, an expert from Chicago, led a discussion about distinguishing and drawing out various flavors. For Sophia Li, a social media consultant and one of the three organizers of HER’s New York chapter, it was the first time she had tried Macallan Scotch. She appreciated learning about its history. In Kentucky, a state notably proud of its whiskey and bourbon distilleries, women have recently gained traction in the industry, which could very well have repercussions across the country and in New York. In 2010, Victoria MacRae-Samuels became the first female vice president of operations for Maker’s Mark. And in 2017, a twentysomething vegan named Marianne Barnes became the state’s first female master distiller since at least before prohibition. Ms. MacRae-Samuels said that in her 29 years working in the industry, she has noticed more women taking an interest in the technical side of the business, which she believes will lead to more female leadership in operations. She has also noticed, in general, more interest among both men and women in learning about the “heritage and character” of bourbon. “Being able to share in that bourbon experience with people and help them create their own passion for the product based on knowledge is very exciting to me,” she said in an email. An earlier version of this article misstated the number of members of the organization, Women Who Whiskey. There are now over 10,000 members across the world, not over 1,000 across the country. A version of this article appears in print on January 28, 2018, on Page MB1 of the New York edition with the headline: More Women Are Calling the Shots.